How high are realtors´ and lawyers´ fees in Mexico? What about other property purchase costs? How difficult is the property purchase process in Mexico? 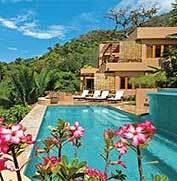 Property purchases by foreigners in Mexico take place through the fideicomiso system. The Constitution of 1917 proclaimed that all land in Mexico would be "ejido" (communal), or owned by Mexican nationals only. Ejido land was given to every village and could not be sold. In 1973, a constitutional amendment known as the Foreign Investment Law allowed foreigners to purchase real estate anywhere in Mexico except the restricted zone that consists of areas within 100 km (64 miles) of international borders or within 50 km (32 miles) from the coastline at high tide. In 1993, Mexico amended the constitution to allow foreigners to purchase real estate within the restricted zone by means of a fideicomiso. The bank is required to check ownership and insurance, and to verify that the property is free of liens. A trust is granted for a 50-year period. The trust is renewable at any time (for another 50-year period) by submitting an application to the bank. If the 50-year period expires without renewal, the owner has another 10 years in which he may submit an application to renew the trust. If property is purchased that already has a fideicomiso, the existing trust may be transferred to the new owner and will be good for the remainder of its 50-year period, or the trust may be renewed. If property is already in a fideicomiso, probate and transfer tax are avoided when the property is transferred. A Mexican corporation may be 100% foreign-owned, and may purchase property in a restricted zone without a fideicomiso. But property owned by a corporation is commercial property, and pay higher water, electric, and telephone rates. However, a Mexican corporation may not own a single-family residence. The Tax Authority may choose to perform a commercial appraisal after the purchase. If appraisal value is 10% greater than the declared value, the difference between the two amounts is subject to 20% Appraisal Tax, payable within 15 days after the appraisal. No Value Added Tax (Sales Tax) is payable on residential property. Commercial Property transactions are liable to VAT at the current rate in addition to the Acquisitions Tax. Once the property price has been agreed, a "Convenio de Compra/Venta" is drawn up, which includes deadlines. This is the written initial agreement to sell/buy. A 5%-10% deposit is expected from the buyer. Obtain a permit from the Foreign Secretary´s Office. The buyer will be required to sign the "Calvo Clause", stating that foreign jurisdiction will not be sought to deal with the property transaction. The seller will then have to provide a copy of the Land/Property Deed. It is important to hire a lawyer to review the document. Once the deed is transferred to the buyer, the buyer will have to turn over the payment to the seller. Cash or monetary instruments of any kind over US$10,000 must be declared when entering Mexico. There are no limits on how much can be transferred in or out of the country. The whole process of registering a property can be completed in around 48 to 108 days. Acquisition tax is levied at progressive rates set in the tax code of the federal district. The buyer is liable to pay the acquisition tax. Services of a notary public (notario publico) are required in a real estate transaction. Based on the law, the Notary Public must ensure that all documents are in order and that all legal procedures have been adhered to. Notary fees are set by the federal district. Notary Publics are not simply lawyers that "notarize" documents, they must: (1) be at least 35 years old; (2) have a degree in Law; (3) have sufficient experience; and (4) pass an exam before they can be appointed by the State Governor. Registration fee is paid to Local Public Registration Office by the buyer. The cost varies by state and can be a fixed fee, a progressive rate or o combination of the two. Total registration fee ranges from 0.02% (Michoacan) to 1.82% (Durango) of property value. Foreign buyers should allot additional 0.5% to 1% for setting up a bank trust, foreign office permit and legal fees. Set up fees for a bank trust ranges from US$450 to US$1,000, with annual service charge of around the same amount. Permit from the Mexican foreign affairs office is around US$1,100. Most foreign buyers hire Spanish-speaking lawyers to deal with the notary public and to check the contract. Since there is no State guarantee of title, title insurance is highly recommended. Several US companies offer insurance for Mexican real estate at around 0.5% to 0.7% of property value. How landlord-friendly is the law in Mexico?